Private Seat Licence owners demand money back from Coventry City. Private seat owners at the Ricoh Arena are demanding their money back, claiming Coventry City Football Club are in breach of contract. Almost 1,000 seats were sold to Sky Blues fans for £275 as a way of generating funds for former manager Micky Adams’s transfer kitty back in 2006. The initiative was launched by then MD Paul Fletcher and his commercial director Ken Sharp, giving fans the opportunity to buy a padded seat for life. But with owners Sisu moving out of the stadium and planning to groundshare elsewhere for three years while building a new stadium outside the city limits, Private Seat Licence (PSL) owners are fuming – and threatening legal action which they claim could cost the club up to £250,000 if they get their cash back. “If CCFC’s home games will be played outside of the city by operating a groundshare with Walsall, Birmingham, Nuneaton, Northampton or wherever the hell else, I am pursuing my legal rights with regard to my Private Seat Licence,” said Ray Stephens, a season ticket holder of 47 years. “The seats cost my wife and I £275 each so I have written straight to the administrator asking for my money back. And if nothing happens I will consider taking legal action and take the club to a small claims court. The 77-year-old from Balsall Common bases his claim on the PSL terms and conditions which state that the licencee owns the PSL (and its associated benefits) for the life of the Arena, providing they purchase a season ticket. If the licencee’s season ticket payment for each season has not been received by CCFC (by no later than the third home game of each subsequent season) then the PSL will lapse. He added: “The point is that if they are not going to play at the Ricoh they are preventing me from buying my season ticket for the Ricoh and therefore I lose my PSL seat through no fault of my own, and to me that’s almost highway robbery. “I shall also encourage the 1000 or so other supporters who purchased PSL seats to reclaim their money. We each paid £275 for our PSL seat and since it is SISU who are effectively reneging on the ‘contract’ this could cost Sisu in excess of £250,000. “Last year I paid cash up front when the season tickets went on sale because they were pleading poverty, so I thought I’d put my bit of cash in if it helps. “If it comes out tomorrow that City are playing at the Ricoh next season I would be straight down there to renew my season ticket. I want to buy a season ticket but I am being prevented from doing so, and therefore I lose my £275 seat, and so does my wife, my son and grandson. “That’s three generations of the family and I won’t be going to Walsall if that’s where they end up playing. I wouldn’t want to drive there and it will take two and a half hours to get there by train so we’d have to leave early and get home after 7pm in the evening on a matchday which is ridiculous. “My wife has been watching the City for 52 years and I have been for 55 years, of which I’ve had a season ticket for 47, and we are having a way of life taken away from us by these idiots at Sisu. “I am not alone in this and everyone I speak to is desperately upset about it. It’s a way of life for people of our age. Fellow PSL holder Mike Welch, aged 76, of Binley said: “We can’t renew our season tickets and if Sisu move away from the Ricoh like they are threatening what happens then, do we lose our seats? He added: “If City are not at the Ricoh next season then I’ll be asking for my money back because they have broken our contract. I, like everyone else who bought a PSL, paid our £275 which was to be used towards buying players – and I’ve got that in black and white – and in return I had to renew my season ticket every year. “I’ve had a season ticket for 16 years and, sadly, I won’t be going to watch the Sky Blues if they go to Walsall or wherever. I’ll go back to supporting Reading which is the closest team to where I originally come from. 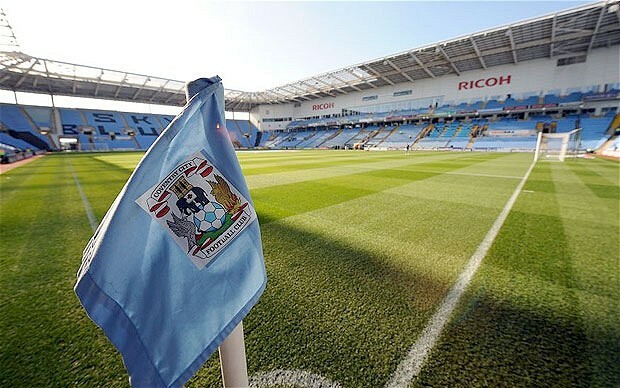 Dan Walker, ticketing manager at Coventry City Football Club, said: “We have been contacted by a number of supporters regarding their Private Seat Licences and Premier Club membership. “They are very much in our thinking and we hope that many of them will be at the Fans’ Forums in the next week or so. “The picture with regards to administration and where we will play our home games next season has not been resolved yet so we are not in a position to provide any further detail at this stage. « Coventry City administrators extend offers deadline.